Third Row Seat, Heated Seats, Rear Air, Power Liftgate, Onboard Communications System, Back-Up Camera. EBONY TWILIGHT METALLIC exterior and DARK GALVANIZED W/EBONY ACCENTS interior, Essence trim. EPA 25 MPG Hwy/17 MPG City! AND MORE! KEY FEATURES INCLUDE Third Row Seat, All Wheel Drive, Quad Bucket Seats, Power Liftgate, Rear Air, Heated Driver Seat, Back-Up Camera, Onboard Communications System, Aluminum Wheels, Remote Engine Start, Dual Zone A/C, Heated Seats. Rear Spoiler, Privacy Glass, Keyless Entry, Remote Trunk Release, Child Safety Locks. OPTION PACKAGES TRAILERING PACKAGE, 5000 LBS. includes (V08) heavy-duty engine cooling system and trailer hitch, LPO, ALL-WEATHER FLOOR LINER PACKAGE includes (RIA) first and second row All-weather floor liners, LPO, (RIB) third row All-weather floor liner, LPO and (CAV) Integrated cargo liner, LPO, AUDIO SYSTEM, BUICK INFOTAINMENT SYSTEM, AM/FM STEREO, SIRIUSXM, WITH 8 DIAGONAL COLOR TOUCH SCREEN includes 2 USB ports inside center console, Bluetooth streaming for audio and select phones and Phone Integration for Apple CarPlay and Android Auto capability for compatible phone (STD), ENGINE, 3.6L V6, SIDI, VVT STOP/START (310 hp [231 kW] @ 6800 rpm, 266 lb-ft of torque [359 N-m] @ 2800 rpm) (STD), TRANSMISSION, 9-SPEED AUTOMATIC (STD). Buick Essence with EBONY TWILIGHT METALLIC exterior and DARK GALVANIZED W/EBONY ACCENTS interior features a V6 Cylinder Engine with 310 HP at 6800 RPM*. OUR OFFERINGS Chevrolet Buick GMC of Fairbanks sells new, certified pre-owned and used cars, trucks and SUVs in Fairbanks, Alaska. We offer financing options and incentives for all North Star Borough Chevrolet, Buick and GMC customers. Our inventory includes the popular Chevy Malibu Plus tax, title and license. Prices include $200 dealer doc fee. See dealer for Stock Numbers. Price contains all applicable dealer incentives and non-limited factory rebates. You may qualify for additional rebates; see dealer for details. Sunroof, NAV, Heated Seats, 3rd Row Seat, All Wheel Drive, Power Liftgate, Rear Air, ENGINE, 3.6L V6, SIDI, VVT STOP/START... Quad Seats. Avenir trim, SATIN STEEL METALLIC exterior and EBONY interior. EPA 25 MPG Hwy/17 MPG City! CLICK NOW! KEY FEATURES INCLUDE Third Row Seat, Sunroof, All Wheel Drive, Quad Bucket Seats, Power Liftgate, Rear Air, Heated Driver Seat, Heated Rear Seat, Cooled Driver Seat, Back-Up Camera, Premium Sound System, Onboard Communications System, Aluminum Wheels, Remote Engine Start, Dual Zone A/C. Rear Spoiler, Remote Trunk Release, Keyless Entry, Privacy Glass, Steering Wheel Controls. OPTION PACKAGES AVENIR TECHNOLOGY PACKAGE includes (KSG) adaptive full-speed cruise control with Stop/GO, (UGN) Forward Automatic Braking, (VTI) Grille front shutters, active only and (CWM) Premium Suspension Package with hydraulic dampers and steering calibration, LPO, ALL-WEATHER FLOOR LINER PACKAGE includes (RIA) first and second row All-weather floor liners, LPO, (RIB) third row All-weather floor liner, LPO and (CAV) Integrated cargo liner, LPO, ENGINE, 3.6L V6, SIDI, VVT STOP/START (310 hp [231 kW] @ 6800 rpm, 266 lb-ft of torque [359 N-m] @ 2800 rpm) (STD), TRANSMISSION, 9-SPEED AUTOMATIC (STD), AUDIO SYSTEM, BUICK INFOTAINMENT SYSTEM WITH NAVIGATION, AM/FM STEREO, SIRIUSXM, WITH 8 DIAGONAL COLOR TOUCH SCREEN includes 2 USB ports inside center console, auxiliary input jack, and Bluetooth streaming for audio and select phones and Phone Integration for Apple CarPlay and Android Auto capability for compatible phone. EXPERTS RAVE Great Gas Mileage: 25 MPG Hwy. 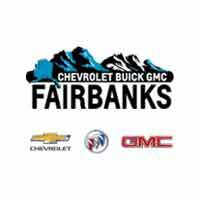 VISIT US TODAY Chevrolet Buick GMC of Fairbanks sells new, certified pre-owned and used cars, trucks and SUVs in Fairbanks Plus tax, title and license. Prices include $200 dealer doc fee. See dealer for Stock Numbers. Price contains all applicable dealer incentives and non-limited factory rebates. You may qualify for additional rebates; see dealer for details.